One of the hardest choices you have to make when installing a fence is choosing the color. After all, the fence is an important part of the yard! The wrong color will stick out like a sore thumb, while the right color will tie the rest of the yard and the exterior of the house together. There are a lot of options to consider when choosing a fence color, so here are our tips for helping you or a client decide on the best color fence for them, as well as some fence color examples. What Type of Fence Do You Want? This is the first place to start, as different types of fences are offered in different colors. Our chain link fence slats, a great way to add color to a typical chain link fence, come in a wide variety of colors. 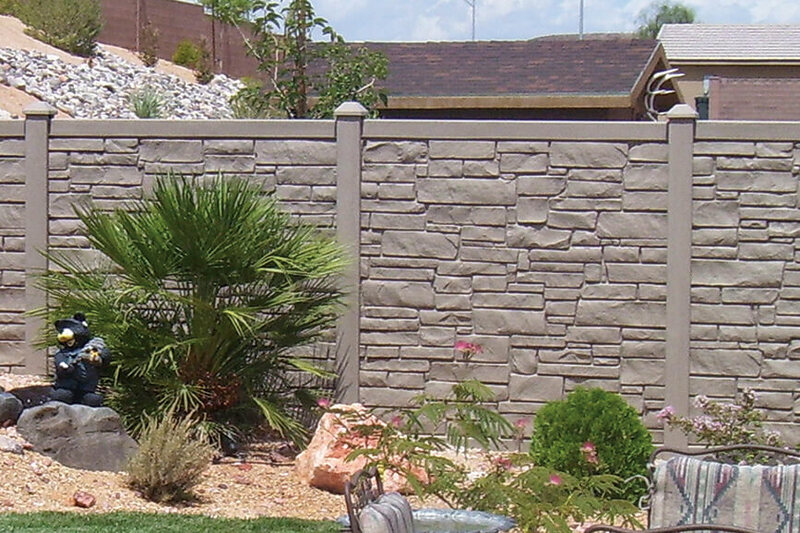 On the other hand, our simulated stone or wood fences come in more natural, neutral colors. 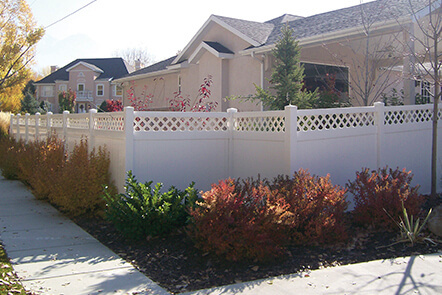 First, choose the type of fence you want, then consider the available color options from there. What Color is Your Home? Now, your fence and home shouldn’t all be exactly the same color. However, if you home features beige trim, then a beige fence will nicely tie in with your home and pull everything together. You should also make sure that your fence and house colors don’t clash. You can get a color sample to make sure that your fence choice will look good with the exterior of your home before you commit. What Colors are the Neighbor’s Fences? If all of your neighbors have a white fence, a dark fence will stick out. You don’t need to have the exact same fence as the rest of the neighborhood, but consider choosing a fence that matches the houses nearby. This is especially important if you will be sharing a side of the fence with a neighbor, as you will want it to match their existing fence as well. Do You Want the Fence to Stand Out? Consider the landscaping of your yard, and whether or not you want the fence to be a focal point. 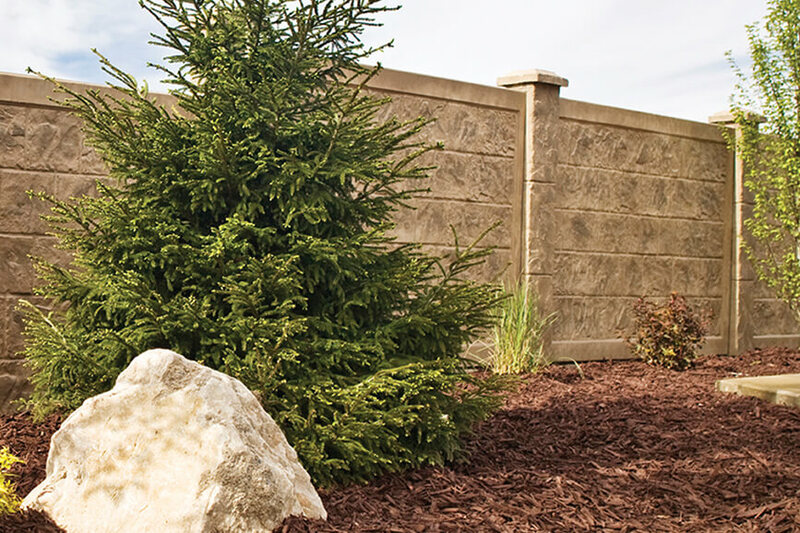 If you don’t want your fence to stand out, consider getting a natural fence color that will blend with your foliage. On the other hand, a crisp white fence against a lot of trees and plants will make both the fence and the greens in the plants pop. If you really want your fence to stand out, you can consider a bold color like blue or red. The light grey color of this stone fence compliments the surrounding environment. 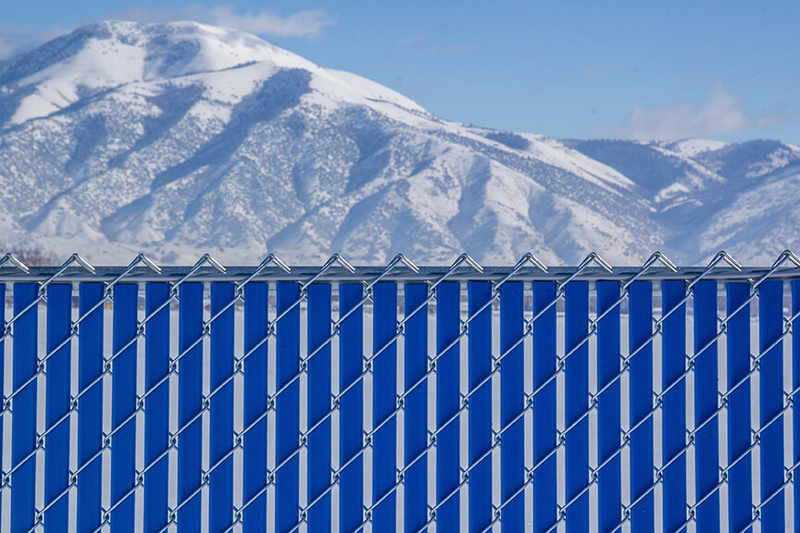 The bright blue slats in this fence look great against the mountains. Notice how the white in this vinyl fence matches the white trim on the house. 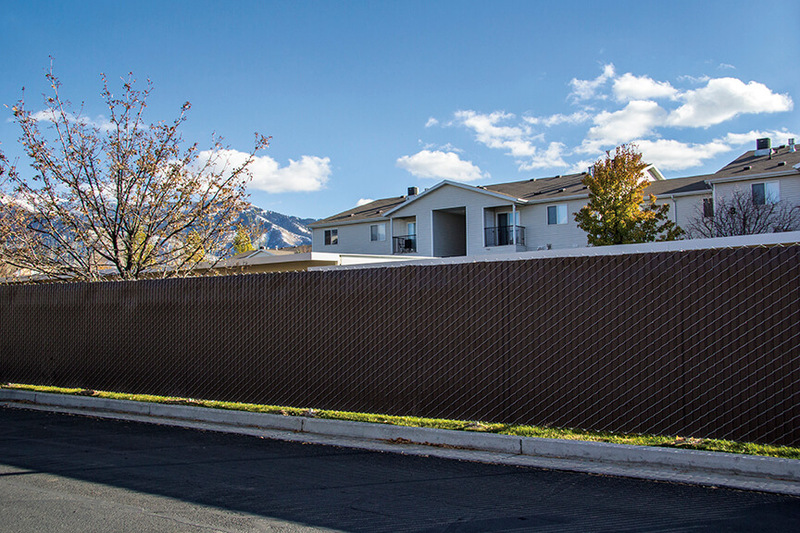 The brown slats in this fence look great with the brown roof of the apartment complex it surrounds. This beautiful stone fence is a nice, neutral color that will look great in many different yards. 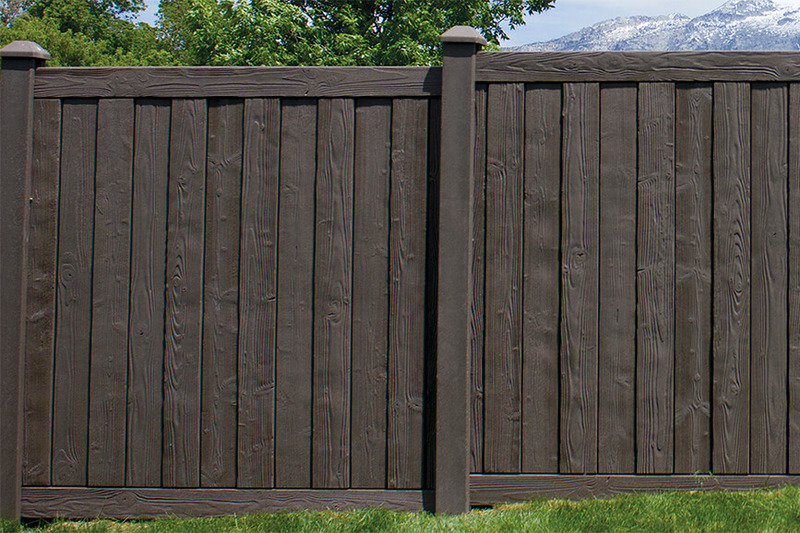 The Sherwood fence in dark brown is a great choice for those looking for a darker fence. We’re proud to offer a wide variety of fencing options and colors, and there are are many more options than those shown.